At Dollar Signs and Graphics, we recognize that building your own home or working on someone else's is a great way to advertise your business name. Your product speaks for itself! 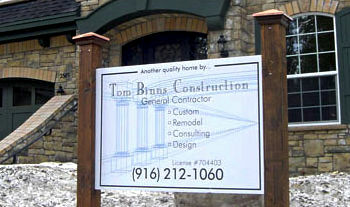 Construction signs are a great way to make a lasting impression and gain new customers for landscape designers, arborists, painters, roofers, general contractors and more. From simple to complex, let us design something that fits your budget and increases your revenues.